Cargo Jacket Just $18.99! Down From $40! FREE Shipping! You are here: Home / Great Deals / Cargo Jacket Just $18.99! Down From $40! FREE Shipping! This deal ends on December 16! 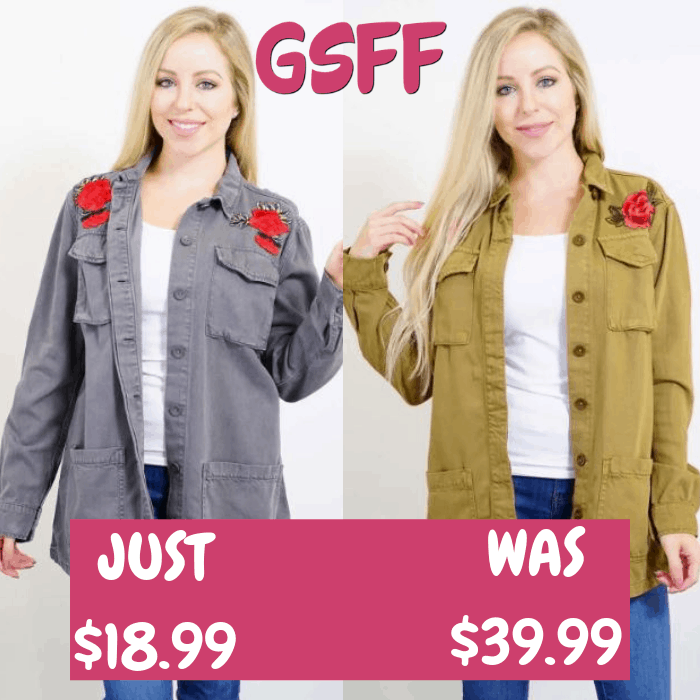 Hurry over to Jane where you can score this Cargo Jacket for just $18.99 down from $39.99 PLUS FREE shipping! This Cargo Jacket is what utilitarian dreams are made of! No surprises, just a classic cut. You’re sure to stand out in style with the removable side roses. It’s a great gift idea too!